Home | Fairbourne Tourist Information and pictures of Fairbourne, Gwynedd, Wales. Fairbourne is situated on the Cardigan Bay coastline in Gwynedd, North Wales. Founded as a seaside resort by Arthur McDougall (of flour fame), Fairbourne is now a popular village sitting on the edge of the Snowdonia National Park. 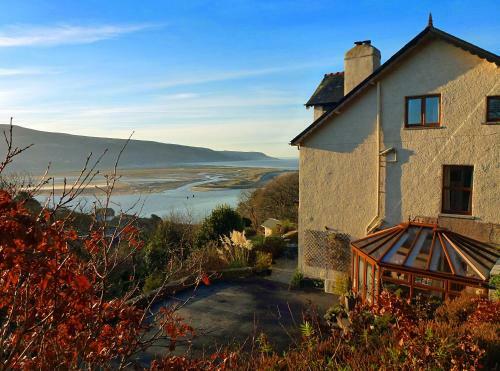 The village is located across the Mawddach estuary from Barmouth, with breathtaking views across the waters. Fairbourne's Blue Flag Beach attracts visitors throughout the year, for it has beautiful golden sands stretching onwards for two miles, backed by pebbled banks. If you fancy something a little more energetic than sunbathing, there are plenty of water sports available including canoeing, windsurfing, sea fishing and water skiing. Children will love building sandcastles along the shore and parents can be safe in the knowledge that there is a dog ban in place during the summer months. Away from the beach, other activities include: walks on Cadair Idris, one of Wales finest mountains; or the Precipice Walk in nearby Dolgellau (9 miles from Fairbourne); taking a ride on the Fairbourne and Barmouth Steam Railway; or when the weather isn't too cheerful, you can visit the swimming pools at the Leisure Centres of Barmouth or Tywyn. 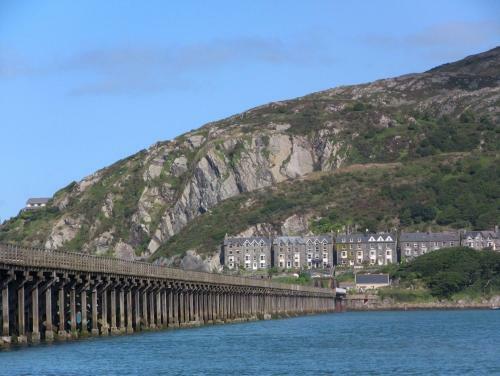 Whilst most hotels and guesthouse are located in Barmouth, Fairbourne has several self-catering cottages, ensuring a comfortable stay in the popular little seaside resort. 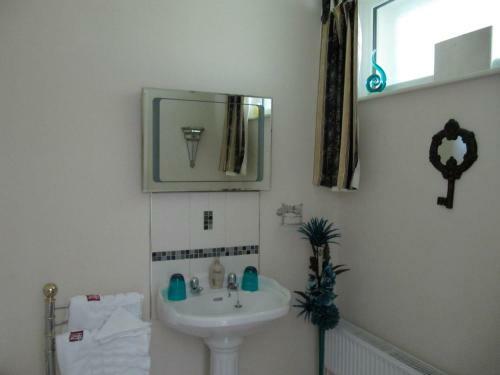 You may make an instant secure hotel or cottage reservation close to Fairbourne. Hotel and cottage availability and letting rates are confirmed online prior to booking. Simply click through to the accommodation page, choose a suitable property, check availability, including dates of stay, to confirm the exact room rate and reserve the accommodation.